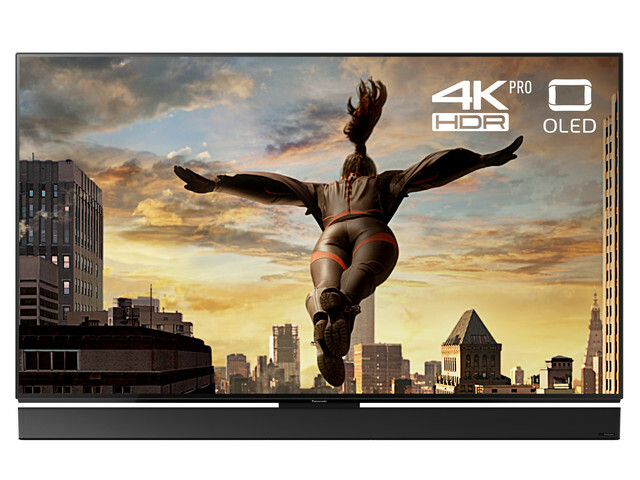 The FZ952 OLED Series brings ultimate cinema quality to your home. This stunningly designed Tv is also a picture & sound powerhouse. It combines the peerless contrast capabilities of 4K HDR OLED screen technology with new Studio Colour HCX video processing that has been tuned by real Hollywood Film-Makers to ensure you always get to see pictures that look exactly how their creators intended them to look. The sound system, meanwhile, has been developed in conjunction with hi-fi experts Technics to put you right at the heart of the action. Panasonic have spent decades establishing relationships with the Hollywood filmmaking community to ensure their Tv’s get closer than any other brand’s to the original creative vision in your home. Panasonic Tv’s have become so successful at recreating the directors vision, that some are now used as client referencing monitors in movie and Tv mastering studios – so film fans can achieve the dream of watching a film on the same Tv it was mastered on. The FZ952 OLED Tv is a self-illuminating system that individually regulates 8 million pixels. It controls the intensity of the illumination based on the amount of electrical current. When there is no current, no light is emitted, enabling stunning expression of deep, rich blacks, as well as the ultimate contrast ratio. The FZ952 supports multiple HDR formats, such as HDR10 and Hybrid Log Gamma. The FZ952 also supports HDR10+. In order to enhance your HDR experience, Panasonic also offer some original functions such as Dynamic Scene Optimiser, which optimises HDR images according to the content and Auto Brightness Enhancer which adjusts picture in response to the ambient lights in your viewing environment. The FZ952 features a Dynamic Blade Speaker tuned by Technics. This speaker offers a remarkably high level of sound quality. Inside this deceptively slim audio system are no fewer than 12 speaker units. It maximises images with richer bass and more realistic surround sound. On top of this, the Panasonic Bluetooth Audio Link brings breathtaking sound from a smartphone or tablet for listening pleasure. The FZ952 also features Game Mode & Sports Mode! Sport mode combines vivid hues with a surround effect for viewing real-life football and other sports. The quick image response of Game Mode boosts gaming fun with a more direct playing sensation.